This entry was posted on July 29, 2008 at 2:13 am and is filed under Uncategorized. You can follow any responses to this entry through the RSS 2.0 feed. You can leave a response, or trackback from your own site. Who do I call in the middle of the night when I want someone to pray with? Who visits those in the hospital while I’m at my own job? Who goes and cuts some of the widow’s yards because I need to cut my own? Oh yeah then goes back to the church to cut the grass there too. Who’s among the first to show up when my wife goes into labor with my first born? Who’s the first to know when someone dies? Who can I go to in confidence when I need spiritual counseling, because I trust that he will tell me straight up what is right, even when I may not want to hear it? Who has to field the calls from the missionaries out of the country asking for money to fly their sick child home for US care? Sorry, I guess my church is smaller ’cause we don’t have a big staff (a full time pastor and a few other part timers), but I think I’m getting a deal. Sure, he has a few faults. So do I. He’s managed to look past mine so I think I’ll just err on the side of grace and do the same. keep em comming – I love them …. BTW – I put one of your previous pics on my blog, you were acknowledged. I stole one from yesterday and posted it, you were acknowledged. No offfence but my answer to who does that is……. The Church! Usher: Thanks Mark – You’re the best! These are great pics. Would you mind if I took some and used them in blog posts? 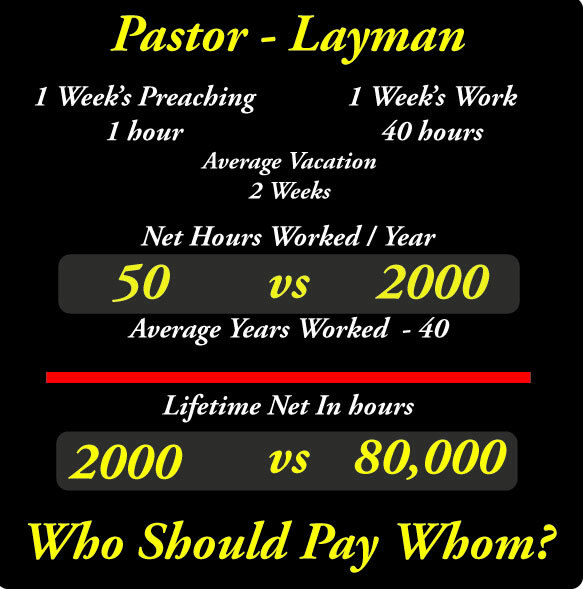 Do you seriously think the only thing a Pastor does during a week is 1, 1 hour sermon. What about the planning, the prayer, the prep, the prayer, the counseling, the paperwork, the evangelism, THE PRAYER, the studying, the small groups, the Bible studies, the prayer meeting. Trust me they work more than 40 hours a week. That statement alone shows a lot of ignorance on your part. Also, remember there wives usually put in a lot of time for free! Usher: Dude, how much Kool-Aid have you been drinking? You’ve got a mustache you’re so far into the punch bowl! Deacon: Usher, that’s not nice, stop it! 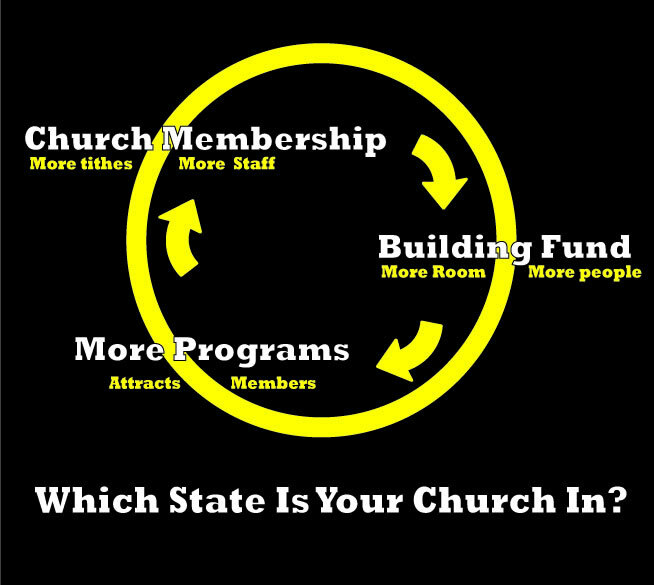 Have you ever Pastored a church? I am married to a Pastor (who also works a full time job not in the church) He spends atleast 2 hours every evening after coming home from his job working on church relating things and praying. He also stays up the ENTIRE night every Saturday praying and preparing for Sundays service(not using the internet I might add). All day Saturday we work to prepare for Sunday getting bulletins, Sunday school, etc together and PRAYING…much more than 15 minutes I assure you. You should definately check your statistics they are very innacurate. Most Pastors are men who love people and spend thier lives trying to help people. We do it because we feel this is what God has asked us to do with our lives.